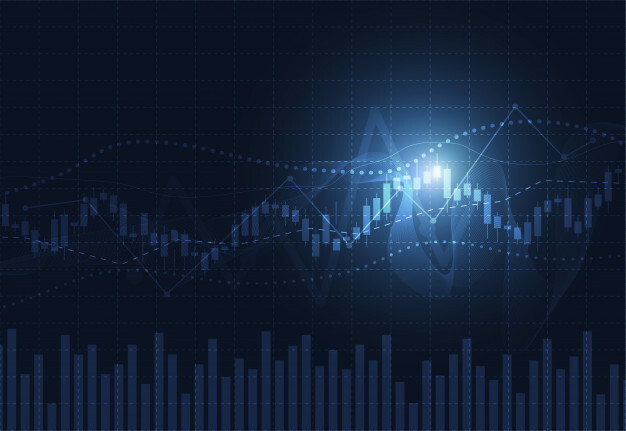 Candlestick Patterns: A Rice Trader’s Secret to Riches Featured - Trading Concepts, Inc.	Candlestick Patterns: A Rice Trader’s Secret to Riches Featured - Trading Concepts, Inc.
Munehia Homma was never your typical trader. Few have been as influential or accurate. But what he added to the art of technical analysis would change the way we look at charts altogether. What’s most interesting is that Homma never traded a stock. He was a rice trader. He’d record price movements on paper, laboriously drawing price patterns every day. He’d record the opening day’s price of rice, the low and the close. Over time, he’d begin to see price patterns in his recordings, mapping out repetitive signals in the price bars. He’d soon give them names, like spinning tops, dojis, and hanging man – candlestick names we still use to this day. We never want to rely on a single indicator, such as Bollinger Bands to make stock buying or selling decisions, so we begin to confirm with others, such as Williams % Range. What’s interesting about Williams is its uncanny ability to signal reversals two days before reality strikes. Traders use the indicator to confirm. Let’s revisit Coke again. When Williams reaches near zero, it’s overbought. When it reaches to - 100, it’s oversold. 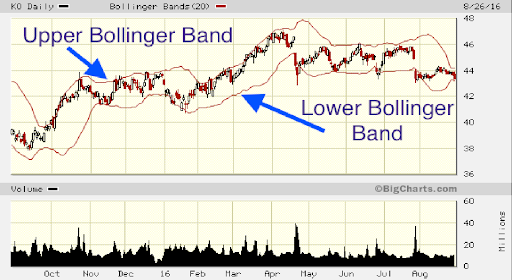 Look at what happens when the KO stock hits the upper Bollinger Band, as Williams reaches toward zero, the stock reverses about 80% of the time. Now look at what happens to KO when the lower Bollinger Band is hit, and Williams % Range dips to -100. Again, the stock reverses about 80% of the time. He could literally see the psychological behavior of buyers because emotion had such a significant impact on rice prices and his patterns. With his technical insight, he could position himself against the market when all buyers were bearish and vice versa. 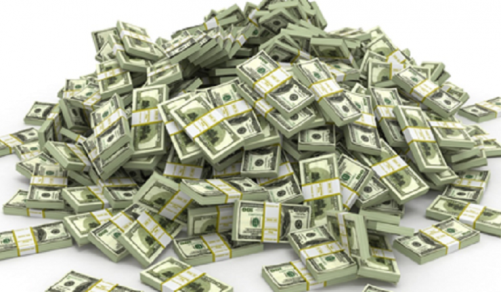 He was so successful stories say he made the equivalent of $10 billion in today’s dollars. 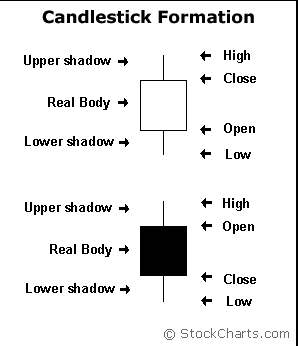 Sure, to the average trader, candlestick patterns are just a bunch of crosses and oblong shapes with odd names, like the abandoned baby or the doji cross. But once understood, even the craziest sounding candlesticks can help make you a fortune, as their creator, Japanese rice trade, Munehisa Homma would learn. Years later, the rice trading trick would be applied to stock markets, allowing technical analysts to gauge possible direction of stocks, as highlighted by candlesticks and market psychology. In short, candlesticks were highlighting two of the stock market’s chief drivers—fear and greed. For instance, doji crosses are a sign of indecision of bulls and bears. When found at the top or bottom of trend, it can indicate that a reversal in the other direction is nearing. Quite literally, they help traders excel at finding market turning points. 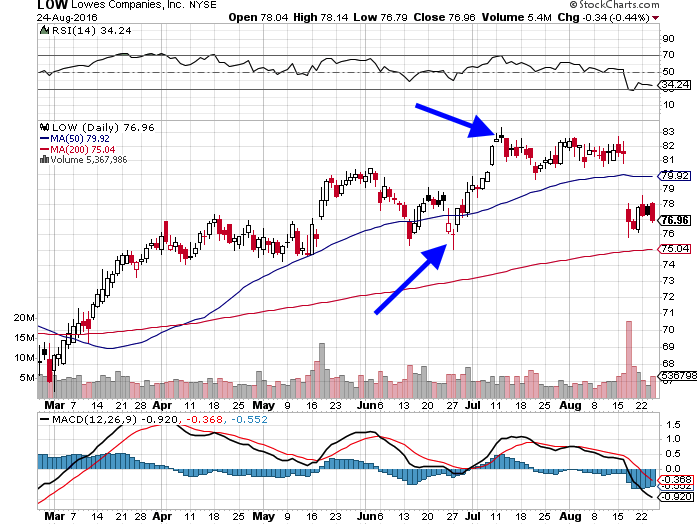 In late June 2016, for instance, a long-legged doji appeared at bottom of trend on a Lowes (LOW) chart, an indication that bulls and bears were undecided. It also marked a turning point for the stock off that low price point. Then, at the start of July 2016, a doji-cross showed up at top of trend, another indication that bulls and bears were undecided. It was a clear sign that a reversal may have been in the cards, which it was. Shortly after, the stock would begin to reverse lower. For the second time, a candle predicted a potential change of direction, as dictated by psychology. Am I telling you to forget all you know about technical analysis, and simply rely on a rice trader’s methodology? Not at all… In fact, using candlesticks alone is good for a 60% to 66% win on average. It’s why confirmation with other indicators is essential, such as Bollinger Bands, moving average convergence divergence, relative strength, and Williams % Range. Don’t avoid them, though. Use them as part of your trading arsenal. Granted, some are more reliable than others, including these top five of my favorites. The first one is the doji cross, which we explained above. 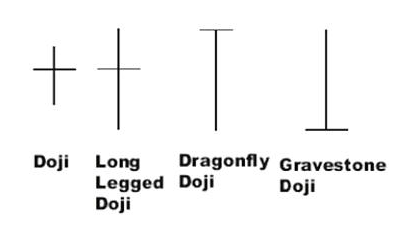 To explain even more, doji setups, such as dragonfly and gravestone, are widely regarded as strong indicators of a likely reversal off a high or low. 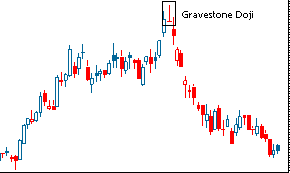 The gravestone pattern, for instance, implies death of a bullish move at top of trend. 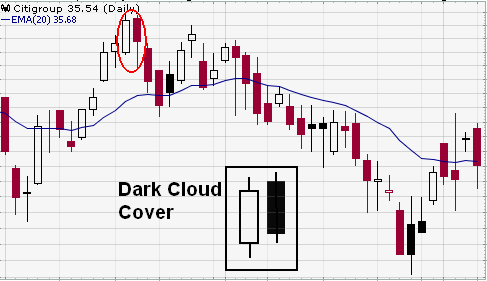 Other reliable candlesticks are the piercing and cloud cover formations. A piercing pattern is typically a bullish form of cloud cover. It will typically signal the end of a downward trend while cloud cover can signal the end of an upward trend. Typically, cloud cover will look like this on a chart. 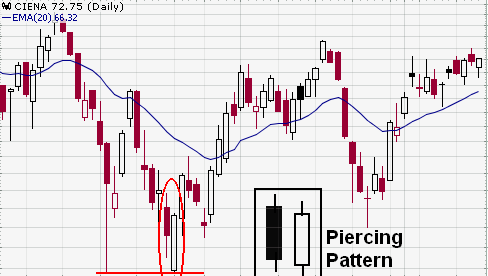 And a piercing pattern can look like this on a chart. We can also rely on hammer and shooting star formations, as well. 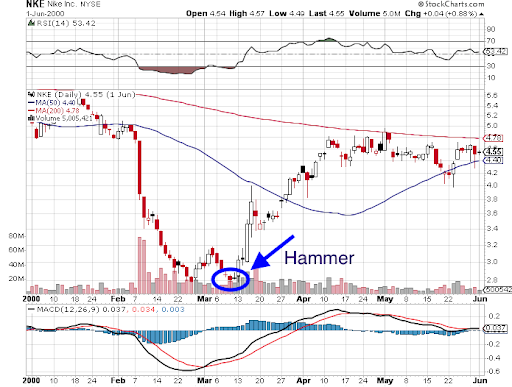 The hammer candlestick is a bullish reversal signal at typically occurs at the bottom of a downtrend. It will pop up as the stock in question is trying to find a bottom. The signal does not mean the bulls have taken full control, but it does imply the bulls are strengthening their position… with upside likely, near-term. They’ll also signal capitulation by sellers. We can look at inverted hammer formations as well. This can also be found at the bottom of downtrends and can signal a potential for a swing higher. I've come to realize that what you all are doing at Trading Concepts is the very top of the line and the place that we wish to invest our money for trader education. 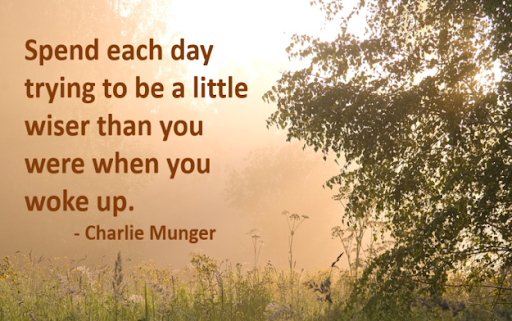 I hope this article has been helpful – be sure to drop me a line and let me know what you think…have a fantastic day!